Sixteen years ago, a group of teenagers around the country were given tape recorders and asked to document their lives for the NPR series Teenage Diaries. Millions of listeners got to know Josh, who had Tourette’s Syndrome; Amanda, who was coming out as gay to her parents; Melissa, who practically gave birth on the radio; and many others. 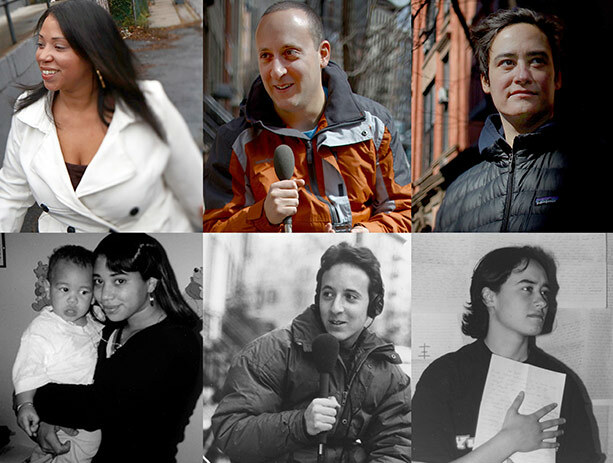 This May, the group will be back on NPR with a brand new series of stories about their lives now. On May 6, join Ira Glass of This American Life and Joe Richman of Radio Diaries for a special live multimedia event at BAM’s Fishman Space to kick off the new NPR series Teenage Diaries Revisited. Amanda, Josh, and Melissa will be on stage to present sneak previews of their new stories. For more information, visit radiodiaries.org. "Whether it’s teenagers or prisoners, the broadcasts allow listeners to eavesdrop on the aural journal entries of people they might not ordinarily meet. And because these personal revelations come without fanfare, the immediacy of each solitary voice can be startling." This rental event is presented by Radio Diaries. Regular BAM house and ticketing policies may not apply. $150 ticket includes invitation to a special pre-show reception at 6pm in the BAM Fisher lobby with Ira Glass, Joe Richman, and the diarists.